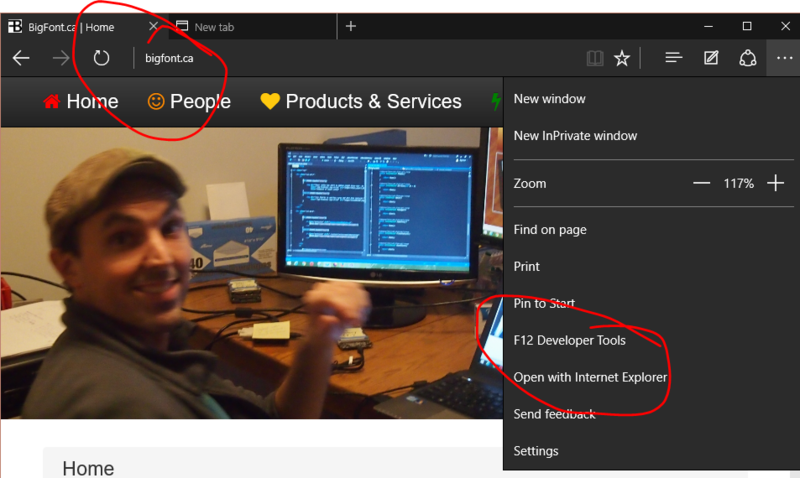 After upgrade to Windows 10, I can't get the F12 Developer Tools to show / work under MS Edge. IE 11 developer tools do still work, but I can see rendering differences on my websites I am working on between them, so could do with getting them working under Edge. I am presuming they are available?? Have already tried the re-register packages fix, as well as reset Internet Options, but nothing works. I work on the Microsoft Edge team, and have not personally heard of any issues regarding the developer tools not working. As pointed out in another answer here, the tools will only be available via menu and F12 when you navigate to a document. The tools don't work for things like the New Tab Page. If you continue to experience issues with the Developer Tools, please share additional information about your build of Windows 10 (run winver from Run), and Microsoft Edge (version number available in Settings). I'll gladly file an issue for further investigation. In the meantime, you could try another utility on Windows 10 called the F12 Chooser. You'll find this under C:\Windows\System32\F12\F12Chooser.exe. This will identify all possible debug targets presently opened on your machine. You should see an instance of Edge enumerated. 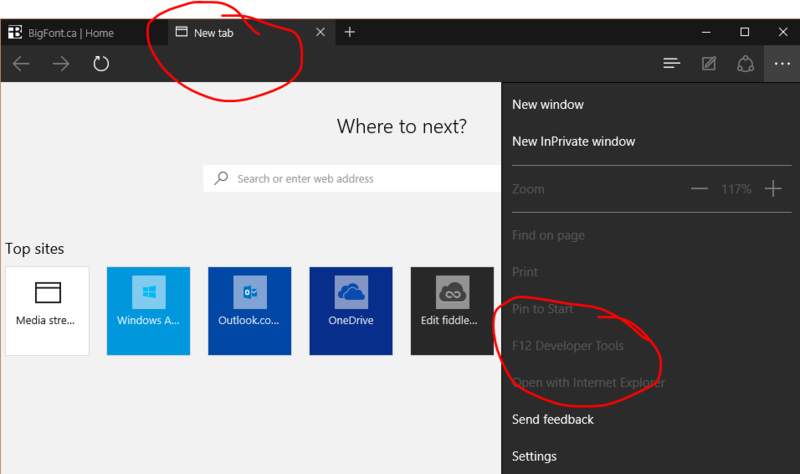 If you open Edge without having gone to a website first, then the F12 Developer Tools will not be available. For instance, if you just open a new tab, then you will not have the tools. Once you actually go to a website, the tools will again be enabled. The solution is yet unknown. I have the same effect here on my computer with one account, but I can see the tools page with a different user account on the same machine. So I think this might be an issue connected to the user profile. Not the answer you're looking for? Browse other questions tagged windows-10 developer-tools ie-developer-tools microsoft-edge or ask your own question. IE 8 Developer Tools not working In Windows?